Is your 4 legged friend fit to be a Royal Pup? How does Natural Gourmet Dog Treats sound? A month or so ago I was contacted by a social media manger who had many clients for who she worked for. She asked if I would be interested in working with a few of her clients, she named off a few of them and there was no way I could turn her down! She worked with some wonderful brands and I couldn't wait to get started. The Dogs Bark Bakery was one of those brands! Rhonda, the Owner/Baker of The Dogs Bark Bakery, makes 100% Natural Gourmet Dog Treats out of her very own kitchen! She uses only human grade, calorie conscious ingredients, that are locally grown when available. The dog treats have no meat or meat byproducts and are handmade to satisfy even the pickiest doggie taste buds! 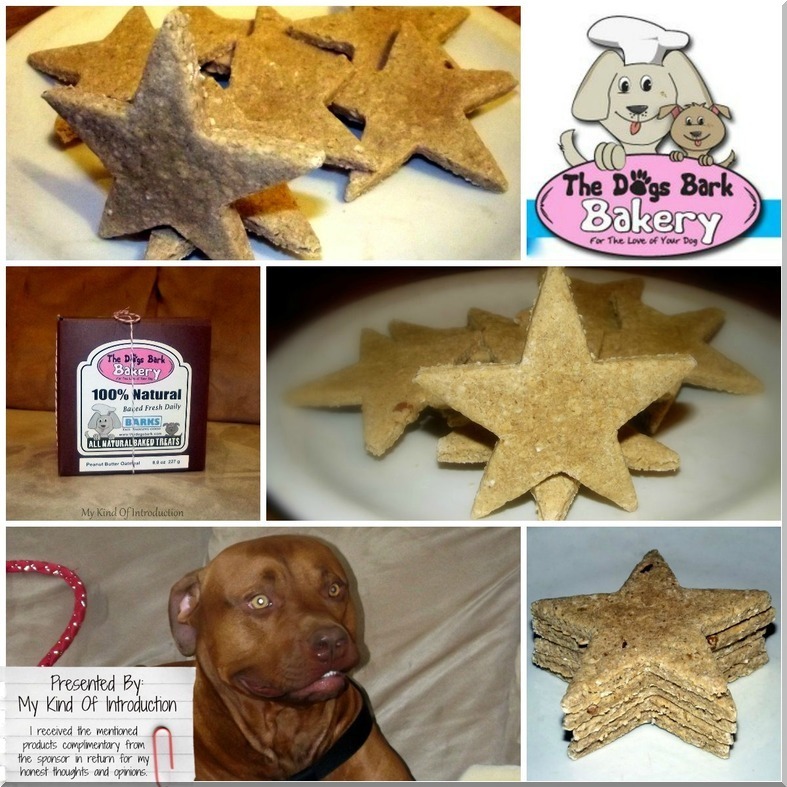 Dog Treats from The Dogs Bark Bakery come in 2 different sizes and in many many flavors!! Since the treats are preservative free, refrigeration is recommended. 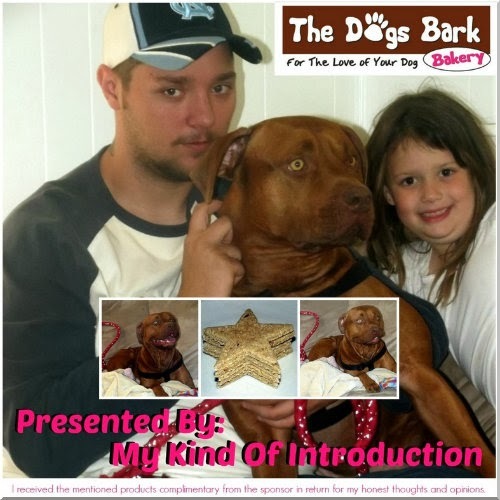 What caught my attention about The Dogs Bark Bakery? All those delicious sounding flavors, that's what!! You get to chose between 9 different flavors of dog treats! 100% Natural Gourmet Dog Treats -- That makes it 10x better! I don't personally have a dog living at home with me but I do have one just 3 minutes away, at my best-friend Dustin's house. His name is Zeus! He's a big baby and the coolest dog ever!! I decided that Zeus deserved some gourmet dog treats, every dog deserves to feel like a King every now and then, right? Dustin and I went through every treat flavor and finally settled on Peanut Butter Oatmeal Cookies, in Bark Size! Zeus ain't no little puppy, he may think he's a lap dog but the truth is... Zeus is a big ol' baby and the coolest pitbull ever! Don't let the name Pitbull scare you off, he couldn't and wouldn't hurt a fly... Unless his nails aren't cut then you may get a scratch or 2 but that's just because he wants to play. 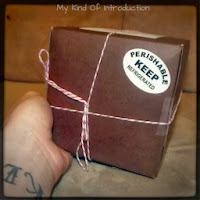 All in all, my experience with The Dogs Bark Bakery was a wonderful one and I plan on purchasing more dog treats soon! 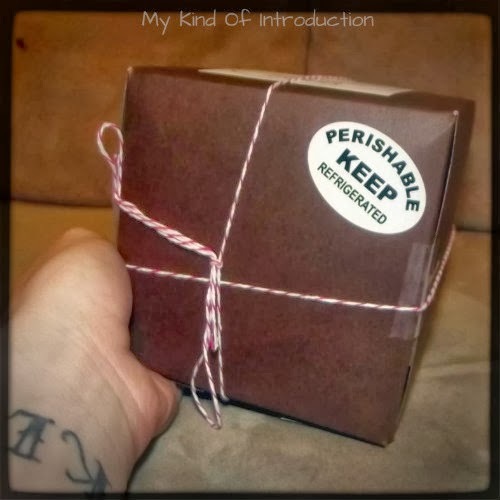 If you have a doggie friend and would like to give them the Royal Treatment when they do something awesome, then I highly recommend the 100% Natural Gourmet Dog Treats from The Dogs Bark Bakery! They look yummy, even though I'm not brave enough to try them myself! To learn more about The Dogs Bark Bakery and view all of their wonderful gourmet selections: Visit The Dogs Bark Bakery Website or View them on Facebook and Twitter. Rumor has it that The Dogs Bark Food Truck may be coming soon! You can track their comings and goings via social media. I was able to get these photo's of Zeus and his treat. Not the best photo's but atleast you can see what's happening! Disclaimer: I received the product(s) mentioned above complimentary from the sponsor in return for my honest thoughts and opinions. All opinions are all my own and may be differ from your own. Even though some sort of compensation has been received, I only write about products that I have personally used and/or believe my readers will enjoy or benefit from. My Bella would love these! I'll have to check it out. Thanks for the great review. Your very welcome, Thanks for the visit. I haven't found a dog that don't like these treats! I've gave them to a couple different dogs through out the past couple days and the Peanut Butter Oatmeal Cookies have been a BIG hit! The Cinnamon Rolls look like REAL Cinnamon rolls!! lol Most Royal Pups are treat snobs so I bet your pooch will fit right in! I couldn't believe how "human cookie" like they looked! Good enough to eat! My neighbor's dog has a few treats that she will be trying soon and I can't wait to see how she likes them. I was told that since the treats have no meat, chickens and other animals like them too!! I thought that was cool! I would probably nibble on a corner out of curiosity haha!